Opened on December 3, 1914 as Pettengill's Minor Theatre. It was owned by Isaac Minor and leased to Mrs. Bert Petengill. 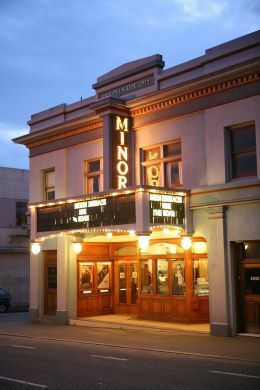 After six months, the lease was taken over by Byards' California Theatre Company, who ran it until 1927, when Redwood Theatres purchased the Byards' lease. Sound was installed in 1930. The theater closed in 1938. Operated by Coming Attractions Theatres, Inc. from 2005 until it closed on February 5, 2016. It reopened in September 16, 2016.